It’s been a while, but the Character Assassin is back, with a new fictional character under scrutiny, as we try to determine their Canadian political leanings. This time, we take a look a super-fast super-hero. Not the red one, the blue one. Star of: A series of video games, comic books and at least two animated series. Bio: A super-fast drifter, who sticks his nose in other people’s business and then usually ends up wrecking a mad scientist’s stuff. Excepting the fact that Sonic is not a “human”, he is a humanitarian. The guy is the defender of the underdog, taking the fight to anyone who would try to take advantage of someone else for their own gain. Sonic is also not prejudiced. 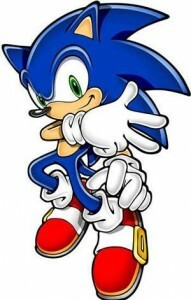 He gladly leaps into action on behalf of anyone who’s in need of help, hedgehog or no. 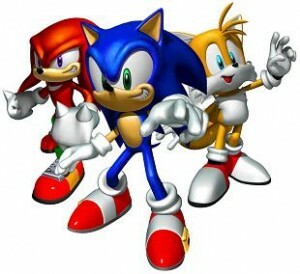 Heck, his circle of best friends include a ham-fisted echidna and a mutant fox, so the guy doesn’t judge based on race. Blue, red and yellow together. It's racial diversity in action. For Sonic, everyone deserves their fair shake, and he aims to see they get it. 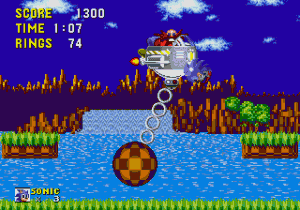 Obviously Sonic is opposed to this, as he is constantly battling against Robotnik’s efforts, and ruining his plans. Coupled with his humanitarian stance, it would seem that Sonic’s main problem with globalization is exploitation. But when you also factor in his strong sense of self determination, it may be more about his dislike of over control over his life. Sonic is an environmentalist. This is pretty self evident. Most of what we see of him involves pushing back the march of technology and he clearly has a dislike of anyone despoiling nature. I’m also fairly certain he’s against carbon emissions. He seems like he’s big on eco-friendly transit, as evidenced by his preference for walking everywhere. This is where Sonic’s more libertarian nature collides with his altruism. 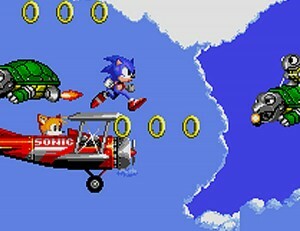 On the one hand, Sonic has a strong sense of individual freedom and self-determination. He would hate big government, especially if it tramples on his liberties, and I wouldn’t expect him to be a big fan of taxes. On the other hand, he roots for the little guy, and isn’t above charity. He’d want to give to the poor, and to ensure everyone can get access to medicine and a proper education. It’s a tough decision for him, but in the end I suspect Sonic’s generosity would win out, and he’d rather see people get access to social services. Begrudgingly. Sonic might be blue, but he’s voting green. Heck the NDP are too left-leaning for our super-speedster. The environmental, anti-big business and social justice platforms are just too in line with his beliefs for him to consider voting anything else. Awesome man. I’ve been hanging with Sonic a bit on Super Smash Bros., and glad to know he’s a fellow lefty. I love the Character Assassin. Also, somewhat unrelated to Sonic’s political leanings, I recently had a wisdom tooth removed and spent a weekend in front of the television. On the Saturday I caught the new, yes NEW, Sonic cartoon. It’s not bad. Very action-packed!